Despite the Luftwaffe being ordered to destroy millions of aerial photos in 1945, the Allies found no less than twenty tons of photos in eleven locations, including a hoard in a Bavarian barn. These together with vast numbers of photographs taken by German soldiers used for Intelligence analysis were put into classified Allied Intelligence files at a time when USAAF and RAF imagery was being destroyed. Covering Iron Curtain countries they were valuable for cartography and target intelligence during the Cold War. 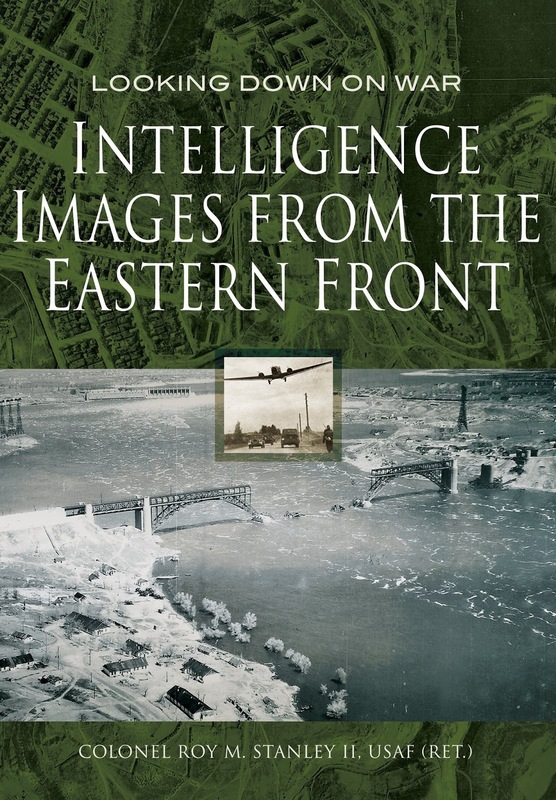 The captured German imagery (called GX) in this book show what the German Army knew about the Soviet Union before and during Operation Barbarossa. Examples show Eastern Front landforms, key cities such as Stalingrad, Moscow, Sevastopol, Leningrad and factories. They are accompanied by helpful comments from a skilled photo interpreter. 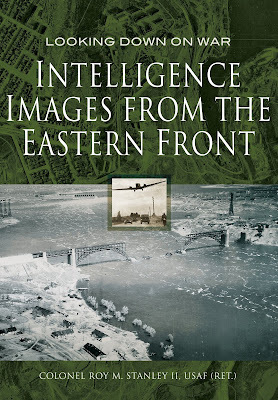 This unique and diverse collection, some taken from 28,000 feet overhead, others taken by soldiers on the ground, reveal the war on the Eastern Front as it has never been seen before.